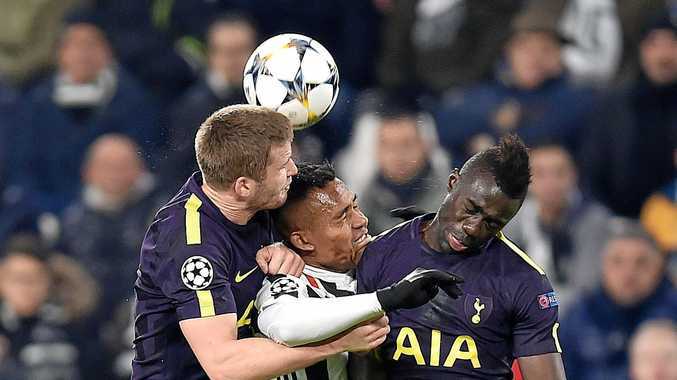 FOOTBALL: Juventus and Tottenham have played out a Round of 16 classic while Manchester City already have one foot into the quarter-finals of the Champions League. On the ropes after Gonzalo Higuain struck twice for Juventus in the opening nine minutes, Tottenham Hotspur launched a Harry Kane-led fightback to draw 2-2 in the first leg of their last-16 tie on Tuesday. When Argentina striker Higuain volleyed Juve in front after two minutes and fired home a penalty seven minutes later the hosts, runners-up in two of the last three season, appeared to have one foot already in the quarter-finals. Tottenham were wobbling but responded to dominate for long periods and Kane halved the deficit in the 35th minute with his ninth goal in nine appearances in the competition. The outstanding Christian Eriksen beat veteran keeper Gianluigi Buffon with a free kick 20 minutes from full-time to give Tottenham the advantage going into next month's second leg at Wembley Stadium where they have already beaten champions Real Madrid in the group phase. 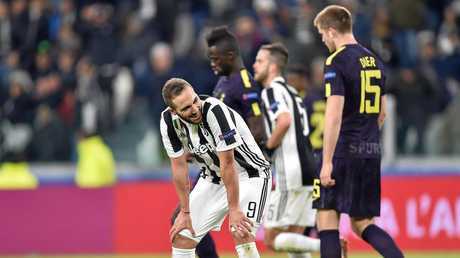 Juve, who had conceded only once in their previous 16 games in all competitions, will rue Higuain's missed penalty on the stroke of half-time but could have few complaints after being shaken to the core by a vibrant Spurs side. Tottenham manager Mauricio Pochettino even sounded disappointed his side had not gone on to end Juve's near five-year unbeaten run at home in European competition. "The character we showed today was fantastic,” he said. "Two down against a side who are so difficult to break down and in the end we deserved to win more than to draw. In Basel, Manchester City effectively killed off their tie against FC Basel after 23 minutes, flattening the Swiss champions with three quick-fire goals on their way to a 4-0 away win. 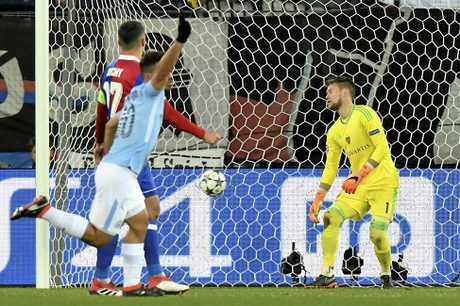 Ilkay Gundogan, Bernardo Silva and Sergio Aguero scored within nine minutes of each other to almost certainly extend Basel's wait for a first quarter-final appearance in the competition. Gundogan curled in the fourth from the edge of the area in the 53rd minute as the runaway English Premier League leaders clocked up another emphatic win in their remarkable season. Basel did their best to make a game of it and created several openings but looked vulnerable every time City attacked. City, who have lost in three of their previous four appearances at this stage of the competition, enjoyed the lion's share of the possession with 69 percent, although that was still unremarkable by their standards. "It's an amazing result,” City coach Pep Guardiola said. This is the best chance City has had to win Europe's biggest prize, especially with one of Real Madrid and Paris Saint-Germain sure to be eliminated this round. The second leg is on March 7.